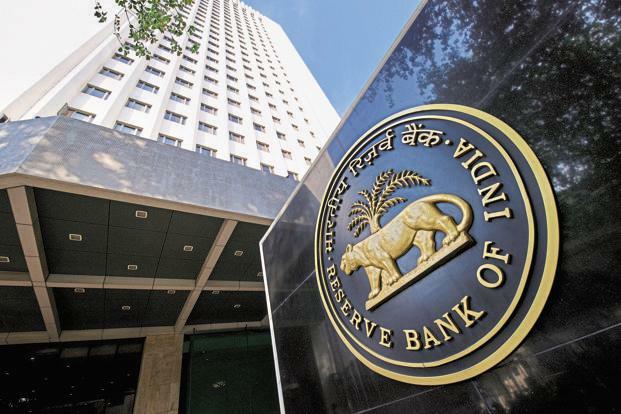 Mumbai: For the hundreds of people who were going about their work in and around the Reserve Bank of India (RBI) building on Parliament Street in New Delhi, it was just another Tuesday. No one had any foreboding about the storm that was to hit the financial system hours later. For R. Gandhi, then an RBI deputy governor, 8 November 2016 was anything but ordinary. He had flown in to New Delhi the same morning to attend an extraordinary meeting of RBI’s central board. The board was to endorse what would prove to be one of the most disruptive actions in India’s economic history—the invalidation of 86% of currency in circulation by value at one stroke. When Prime Minister Narendra Modi went on television that night to announce that Rs1,000 and Rs500 notes would cease to be legal tender from 9 November 2016, Gandhi, who was in charge of currency management then, had his fingers crossed. “I was busy going through my checklist over and over again to be sure RBI was ready with the action plan to stem the blow of the announcement,” Gandhi, who retired from RBI in 2017, recalled in an interview on 26 October. Gandhi had been a part of the discussions on the note ban, which the Modi government first proposed to the central bank in January 2016, he said; so was then governor Raghuram Rajan. Typically, withdrawal of high denomination notes is a radical measure the government would normally resort to in an attempt to counter currency forgery, one of the reasons Modi cited for the note ban, together with unearthing black money and curbing terror finance. According to Gandhi, discussions on countering the menace of counterfeit notes had been underway since 2008, when a sudden surge was seen in the number of these notes. And from 195,000 pieces in fiscal year 2008, the number of counterfeit notes increased to 632,000 pieces in fiscal year 2016. According to many experts, a large proportion of these notes was coming from across the border, from printing presses in Pakistan. “Earlier these notes were printed separately and pasted. Therefore, one could make out that printing was not perfect. But starting 2008 we saw notes which looked like typical currency notes,” said an official aware of the matter. “This type of printing was never seen before,” he added on condition of anonymity. Thus began RBI’s efforts to bring in a new series of currency notes in the country. The problem of counterfeiting grew to such a magnitude that in the annual report for fiscal year 2010, RBI cautioned that the risk arising from these notes had assumed “critical significance”. “The bank continued to work with the government for introduction of notes with new/changed design and new/updated security features in the year 2010. Other ongoing programmes include, withdrawal of old series notes in a non-disruptive way, public awareness programmes through print/electronic media/ posters, training of cash handlers, coordination with various law enforcing/investigating agencies, and creation of administrative/other infrastructure in banks,” said the annual report. Many officials believe the surge in fake notes was due to heightened awareness among banks and increased use of note sorting machines. Several internal committees including one led by Gandhi were set up over the years to study the implementation of new security features, designs and series. By 2013, RBI was even exploring alternatives to physical currency such as plastic notes that are difficult and expensive to counterfeit. A year later, the central bank announced that it would phase out all currency notes issued prior to 2005. It gave a three-month window to exchange the old notes for new, after which all such exchanges, especially for larger denominations, would need identity and address proof. While this created quite a stir, RBI clarified that this should not be conflated with demonetisation as it is a gradual phasing out of old notes over a period of time. This window was kept open till the time government announced demonetisation on 8 November 2016. Meanwhile, work was also going on for indigenization of currency note printing including in the area of security features. The Bank Note Paper Mill India Pvt. Ltd, a subsidiary of Security Printing and Minting Corp. of India Ltd and Bharatiya Reserve Bank Note Mudran Pvt. Ltd, was set up in 2013 in Mysore, now Mysuru. Until then, the country was relying on paper imported from overseas companies to print money. “Around 18,000 million tonnes (mt) of paper was produced to print new currency notes between April to December 2016 at the paper mill, higher than its capacity of 15,000 mt,” said a second person aware of the matter on condition of anonymity. While this was adequate to meet the immediate demand before demonetisation, RBI had to import nearly 30,000 tonnes of notes paper to print currency by the end of December 2016, the person added. In 2014, an internal RBI committee recommended the introduction of high denomination currency notes like Rs2,000 and Rs5,000 notes. According to Gandhi, there was nothing irregular about the introduction of Rs2,000 notes following demonetisation as RBI periodically mulled introduction of high-denomination notes. By late 2015 printing presses had been told to strengthen their design capabilities for introduction of new notes, said the first person aware of the matter. While the system was preparing itself for the introduction of new notes, it was not until January 2016 that the discussions on demonetisation started. Gandhi recalled that RBI was not in favour of demonetisation and apprised the government about the repercussions of such a move, something which has been corroborated by Rajan in his book, I Do What I Do. “I was asked by the government in February 2016 for my views on demonetisation, which I gave orally. Although there might be long-term benefits, I felt the likely short-term economic costs would outweigh them and there were potentially better alternatives to achieve the main goals. I made these views known in no uncertain terms,” Rajan wrote. But insiders believe that Rajan was in the know and gave his tacit approval for each step leading up to the eventual demonetisation including asking the presses to stop printing Rs1,000 and Rs500 notes. Urjit Patel replaced Rajan in September 2016. After February, work on new currency designs picked up speed. RBI’s internal team reworked the entire design of new notes. “Besides the basic features, there were smaller changes made to the currency like cropping Gandhi’s moustache, inserting the text RBI across Gandhi’s glasses, using symbols which resemble Prakriti and other ancient texts, etc,” said one of the people aware of the matter. It took 45 days and 18 designers working round the clock to complete designing the new currency. An RBI official from the Mysuru printing press would take the hard copy of the design to the Prime Minister’s Office for approval. It was later sent back with changes back to the press. “All communication with regards to the new currency was happening physically to ensure secrecy,” said one of the people aware of the matter. In May 2016, RBI’s board approved the introduction of the Rs2,000, and within a month the central bank, in a letter, told the printing presses in Mysuru and Salboni (West Bengal) to stop printing Rs1,000 and Rs500 notes. The presses were told to complete the work in progress and keep aside fresh paper. The printing of Rs2,000 notes started in earnest by mid-September after the new governor Urjit Patel took charge. The government presses in Dewas (Madhya Pradesh) and Nashik (Maharashtra) were printing Rs500 notes. “We had to ensure that minimum value of new notes are available before the government went ahead with demonetisation. Hence we decided to introduce Rs2,000 notes,” said Gandhi. “Every day was counted,” he added. But the government presses were lagging behind their production target, leading to far fewer new Rs500 notes ready for circulation, said one of the people aware of the matter. Though the government claimed that the decision to demonetize Rs500 and Rs1,000 notes was known only to a handful of people, a Hindustan Times article dated 11 November 2016 said the story was broken by a Kanpur-based Hindi journalist almost a fortnight before the dramatic 8 November 2016 announcement by the prime minister. During the same time, WhatsApp messages on new Rs2,000 notes were also doing the rounds. “The news of introducing Rs2,000 notes leaked after the notes reached currency chests. Until then all the staff of printing press kept it a secret,” said the first person cited above. Gandhi defended the employees of the printing presses. “The loyalty of the press employees is commendable. They understood that currency-related information will have to be kept confidential,” Gandhi said. Many believe that the news of the Rs2,000 notes hitting the market created quite a flutter within the government and this led to the government advancing the announcement. “I understood government’s serious intention for demonetisation in April itself from the way discussions were going on, though no decision had been indicated then,” said Gandhi. नोटबंदी बहुत ही सराहनीय व साहसिक कदम था…!!! भविष्य में ऐसे औऱ भी निर्णय लेने की आवश्यकता है…..!!! Posted On November 7, 2017 November 7, 2017 in News with 2 Comments.